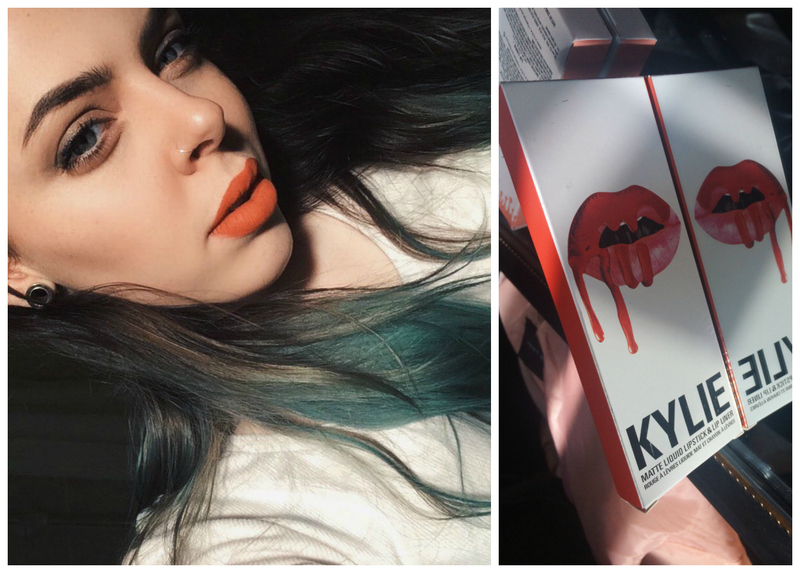 Amidst the lip plumping obsession, King Kylie has taken the reigns with her Lip Kits. Back in April, I tried super hard to get hold of one of her lip kits to see what the hype was about. It took ten minutes for the checkout to load as the site was crashing from overload, but eventually I got through (phew!) and purchased Candy K and two Dolce K's. Since then I've been on a mission to get all of her popping lip colours (except Posie K. Not a fan of fuchsia) and built up my collection of 22, Candy K, Dolce K, Koko K and Kourt K. They may have the Jenner's name to them, but are Kylie Lip kits worth the hype? For the price of $29, these matte lipsticks come with a lipliner which is reasonable as you'd probably pay the same price at MAC. I love these lip liners as they glide on smoothy and stay on. You can even wear them alone for a softer look! The liners are now available separately on her website. On opening the tube of lipstick, packaged in Kylie Cosmetic's branding of drips and a personal touch of her handwriting, the scent of strawberries and vanilla bursts out. Some shades, to me, have smelled more artificial than the others (anyone remember those dolls with the scented heads from when we were little?) but still good enough to eat. One of the first things I noticed is when drawing the applicator out of the tube was that there isn't a funnel inside to squeeze out the excess- though I think she may have worked on this lately. So sometimes I have to scrape the excess onto the side of the opening, where it doesn't dry (it goes goopy) still seems like a waste. I've also found that Candy K looks different on your skin depending how pale you are. It's more of a purple-pink than a rosy pink, which I suppose is why Koko K and Posie K were created. It certainly doesn't look the way it does on Kylie in her promotional campaign, but is still a gorgeous shade. In terms of lasting all day, I can't fault it! I've been on lunch dates and had people ask how on EARTH has my lipstick stayed on all day?! To that I say guuuurl you need to get yourself some Lip Kits. It's even difficult to get off at the end of the day with a make-up wipe! A lot of people have said that the formula is non-drying, which I agree with, but only if you use a light layer. You can build it up throughout the day when you feel it needs topping up, but if you apply a thicker layer to begin with it will flake. I should also mention that it's easy to mix colours if applied with a lip brush or blended with a finger on your lips, you can create your perfect personal shade. In this case, the more colours you own, the better! At the moment, I swear by these lipsticks. They're durable, wearable, statement or everyday depending on how you wear them and no matter what shade you purchase, it will most likely complement your skin. Kylie is working on improving the availability of her lip kits which I'm super happy to hear, but it also means that soon absolutely everyone in the social media world will be wearing at least one of her 12 matte shades. Maybe it's time to find another brand? 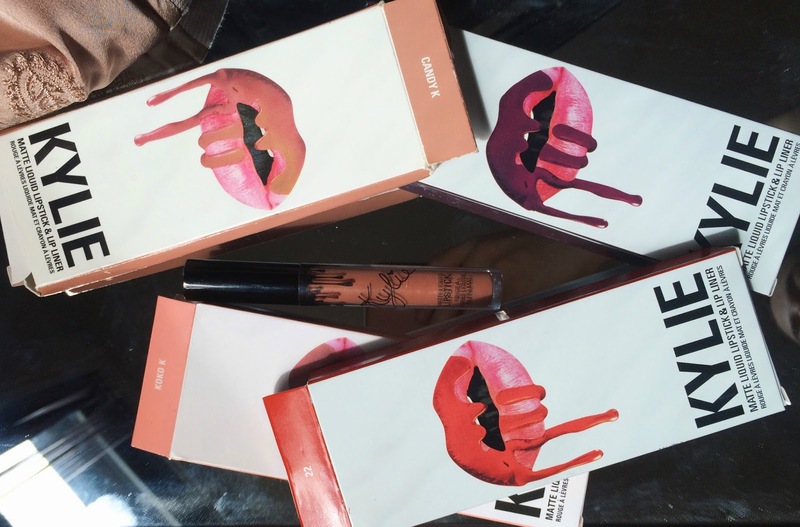 What do you think of Kylie's Lip Kits, do you have a favourite shade? Are there any liquid lipsticks I need to try?